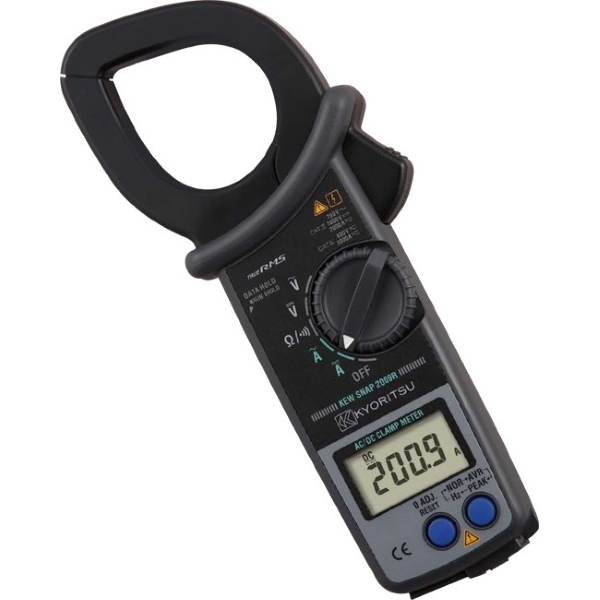 The Kyoritsu 2009R AC/DC Digital Clamp Meter has teardrop-shaped jaws for ease-of-use in accessing crowded cable areas and other tight situations. 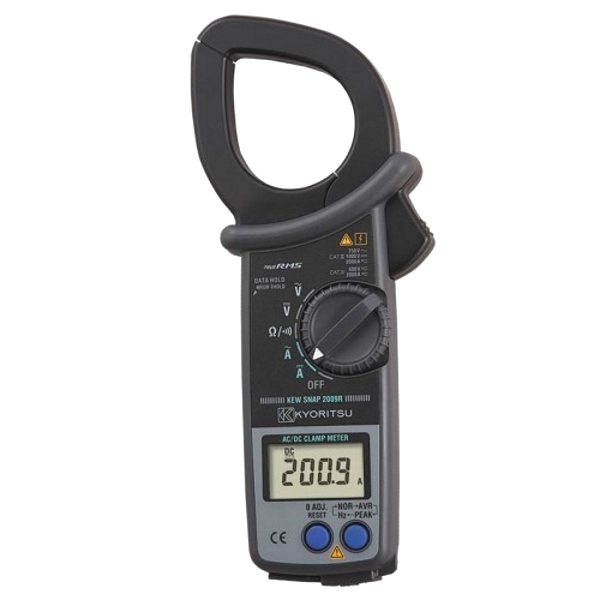 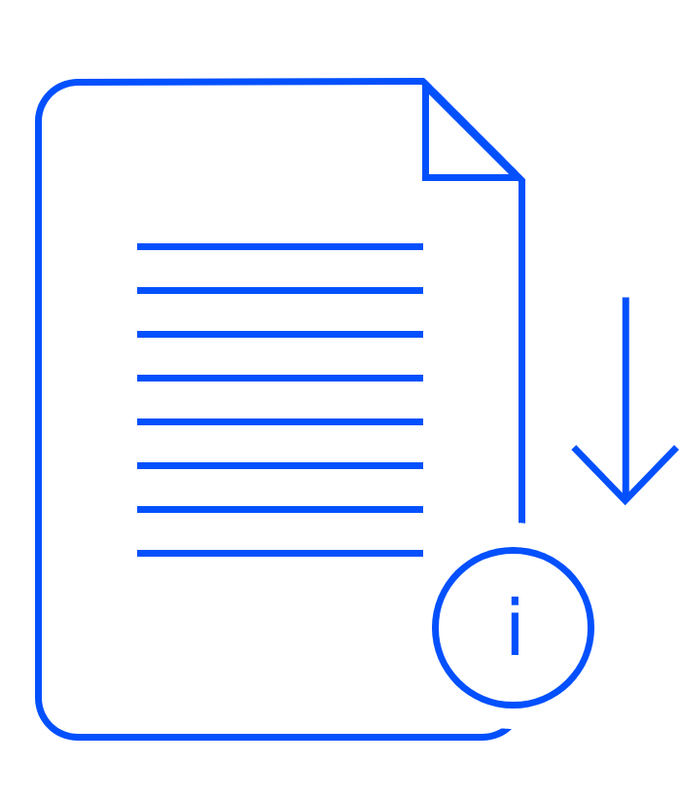 Its data hold function allows easy readings in dimly-lit or otherwise hard-to-read locations. 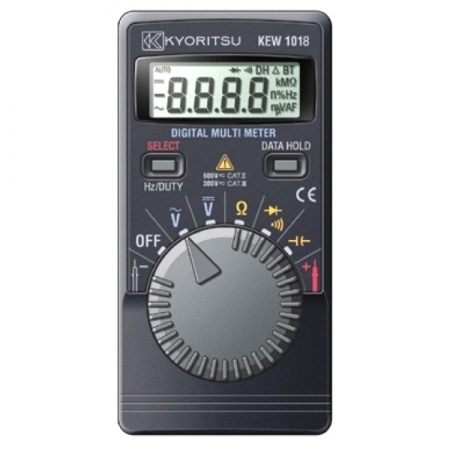 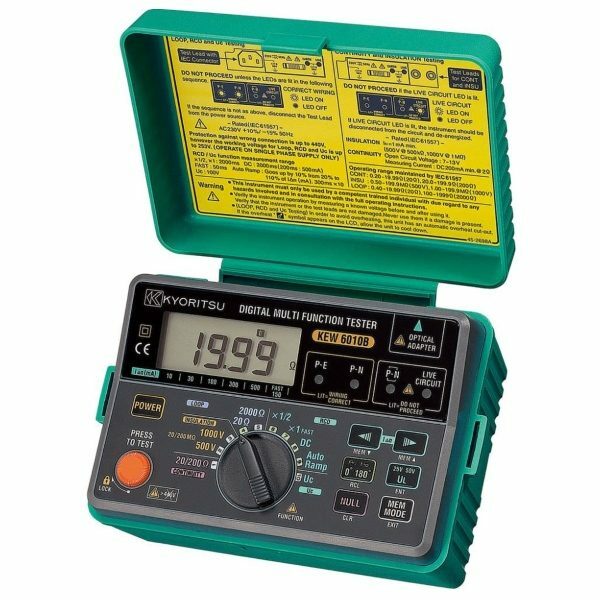 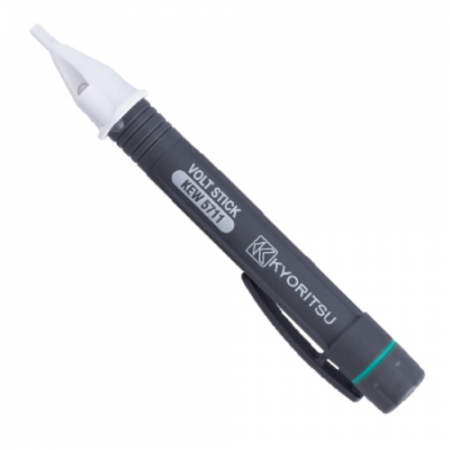 The Kyoritsu 2009R provides a wide measuring range and takes True RMS readings of AC current or voltage with distorted waveform. 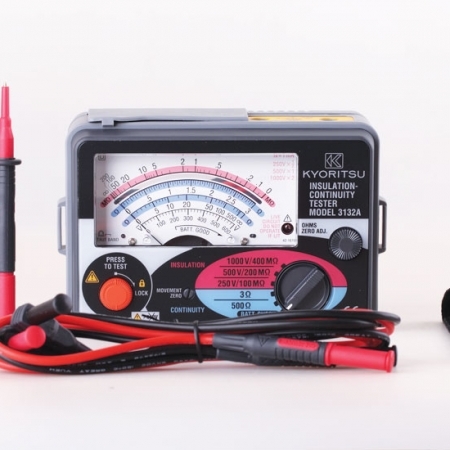 • Can measure the Voltage and Current in both very low and high power circuits.